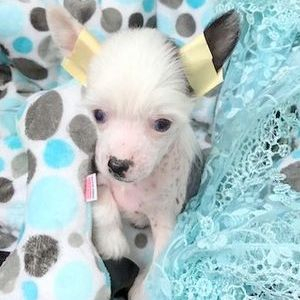 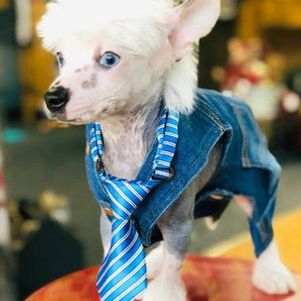 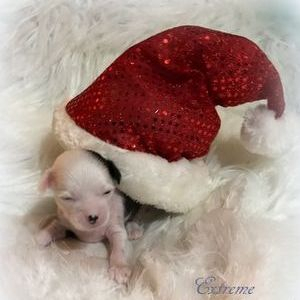 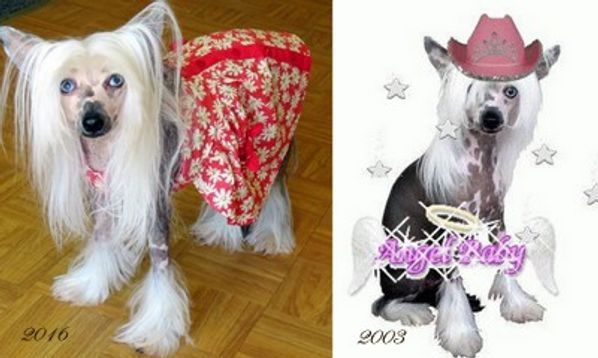 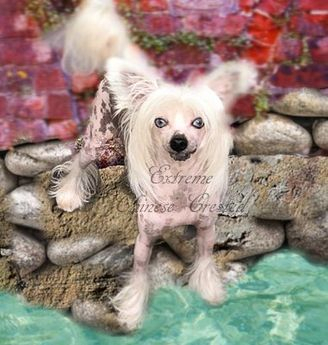 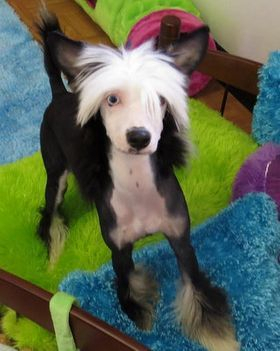 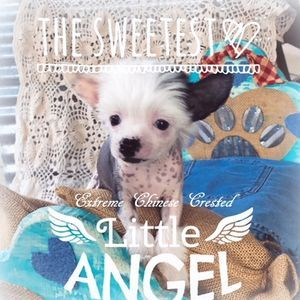 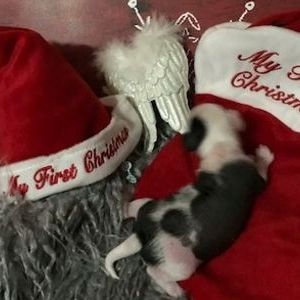 The Chinese Crested breed has changed there appearance in many ways, from when they were first recognized. 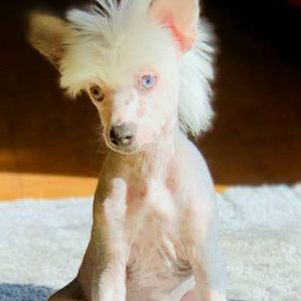 The Crested has been known to be one of the ugliest breeds, and has won many awards as so. 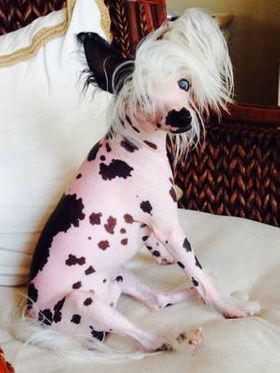 Now you will find the breed being a pony like appearance with a long flowing crest, more body hair which gives the flashy furnishings , and blue eyes. 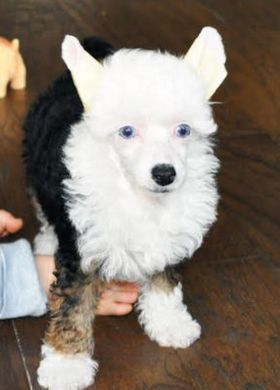 Some may think that the blue eye can cause deafness. 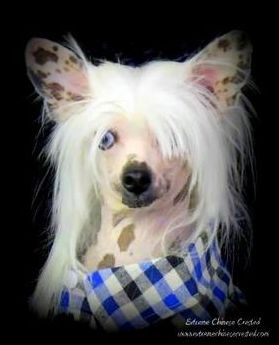 This is not true in the Chinese Crested breed no deafness has ever been indicated in any blue eyed crested. 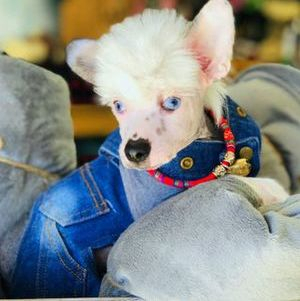 The blue eyes are very hard to get and the odds are not as easy as one may think. 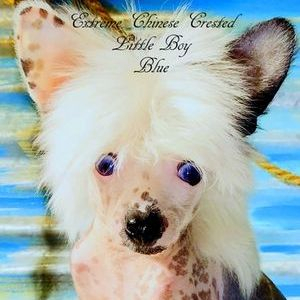 The Blue eyed in the Chinese Cresteds is a recessive trait there for if a blue eyed dog breeds with a brown eyed dog ,the odds are very high ( generally 75% ) that the puppies will not have blue eyes. 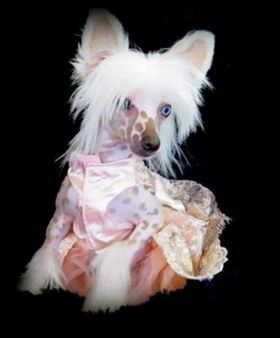 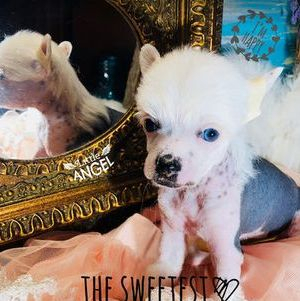 If you are a owner of a blue eyes Chinese Crested consider your self lucky. 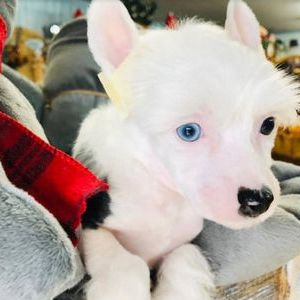 The blue eyes are amazing and absolutely stunning to look at. 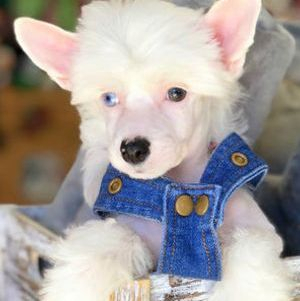 Watching me grow you can see how hard it is to see I have blue eyes in photos at an early age. 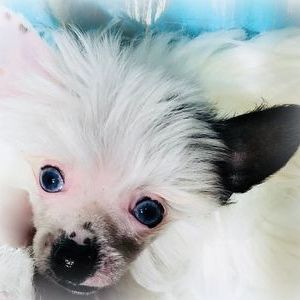 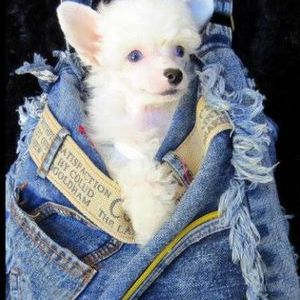 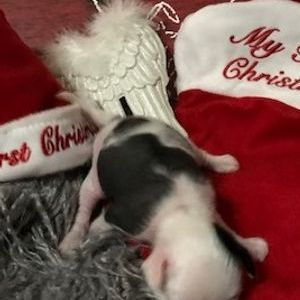 The reason for this is that the pupil it very large at first and as the puppy gets older the pupil start to focus and become smaller in lighted aeras making it easer to see the eye color in photos, out door lighting is the the best to catch the radiance of the blue eye's.